"Hello. My name is Bessie, and I've been told I have a beautiful, unusual face! The streak of black right down the middle accentuates my gorgeous golden eyes." "The rest of me is pretty stunning, too, with my graceful, Oriental Shorthair physique and my charming array of black splotches. I also have a cute little meow. I was found as a stray, so I'm thankful to be here at Wayside, getting food, shelter and lots of love while I wait for my forever person or people to come in and make me part of the family. I'm a friendly girl who enjoys attention, but I'm not at all fond of being picked up. For that reason, I shouldn't go to a home with children under the age of 7. Little kids, you see, don't always understand cat signals, and I might get nippy with them. Neither one of us would want that!" 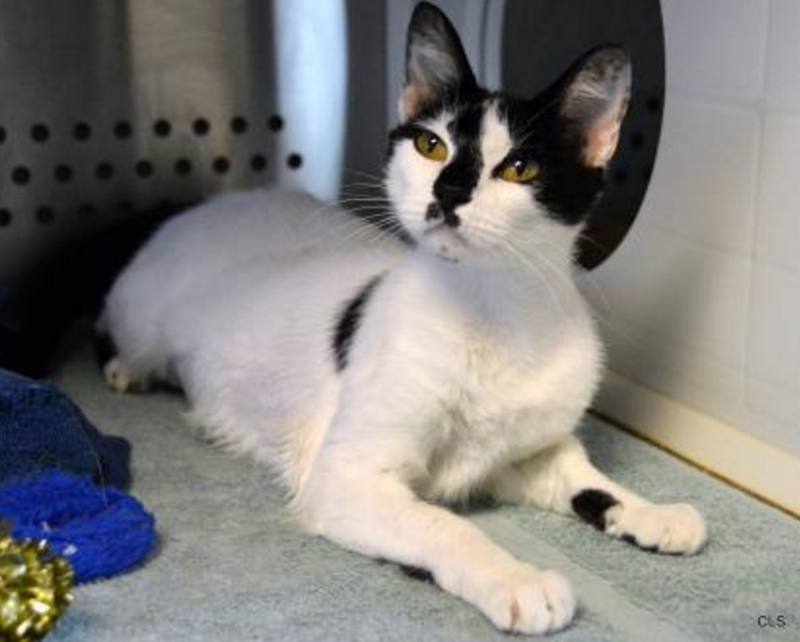 "I'm a playful girl, and my favorite toy is a wand toy -- so much fun to pounce on it and chase it around! My Felineality is Personal Assistant. That means I'm moderately brave in new situations and I love nothing more than hanging out with my favorite person or people, always ready to lend a dainty paw. Do I sound like the girl for you? I'm waiting to meet you at Wayside! Bessie's available today at Allie's Alma Mater, Wayside Waifs. A gorgeous girl ... hopefully she'll get scooped up soon! Really pretty girl! You are going to make someone very lucky to have you. 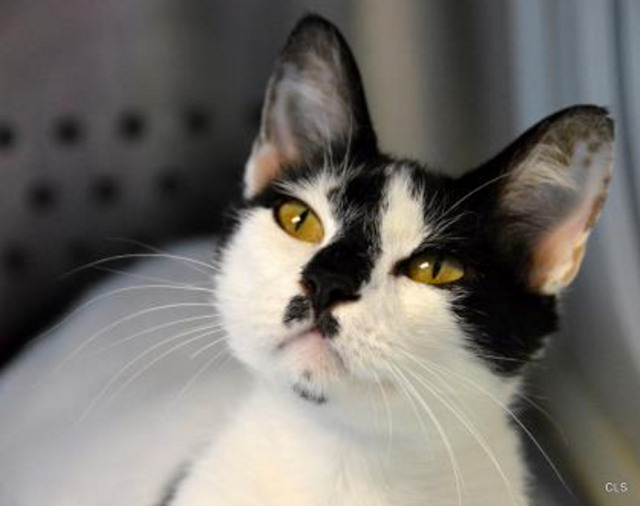 We hope Bessie finds the purrfect forever home soon. OMC, Bessie, you are just stunning! You are a true sweetie, Bessie! We hope your heart's desire for a family of your own is fulfilled furry soon!